USB Audio Adapter works with ODROID-C1+/C2/XU4. 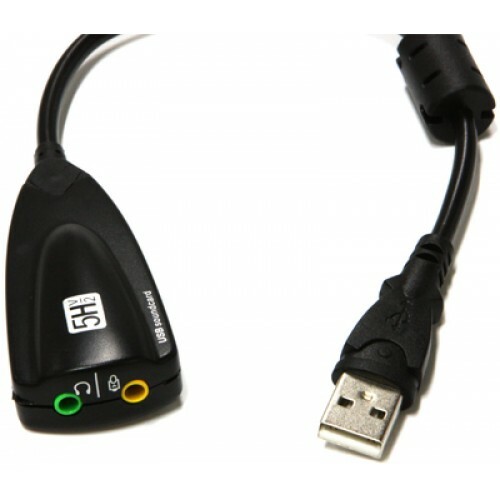 The USB Audio Adapter is a highly integrated single chip USB audio solution. All the essential analog modules are embedded including dual DAC and headphone amplifier, ADC, microphone booster, PLL, regulator, and USB transceiver. ** STOCK EXPECTED EARLY MAY ** ODROID-XU4 is powered by ARM® big.LITTLE™ technology, the..
Now in stock It’s still very much based on ODROID C1 with Amlogic S805 processor, 1GB RAM, and an eM.. The ODROID-C0 is a computer for those who wish to make a more flexible and portable applications. It.. The ODROID-C2 has many advantages over the Raspberry Pi3. The processor is an S905 ARM-64bit 1.5GHz ..
ODROID-XU4Q is powered by ARM® big.LITTLE™ technology, the Heterogeneous Multi-Processing (HMP) solu..
** IN STOCK **This “Case Type 3” is designed for the user who needs high a performance network machi.. This “Case Type 4” is designed for the user who needs high a performance network machine, but with a.. This “Case Type 1” is designed for the user who needs high bandwidth network capability with high ca..
Odroid UK is part of the Lilliput UK website family. We are proud to be the official distributor of Odroid in Europe and Odroid UK operates alongside our main site lilliputdirect.com in order to bring you the latest Odroid products.